b) I couldn't justify the $30 price tag for 4 razor blades. 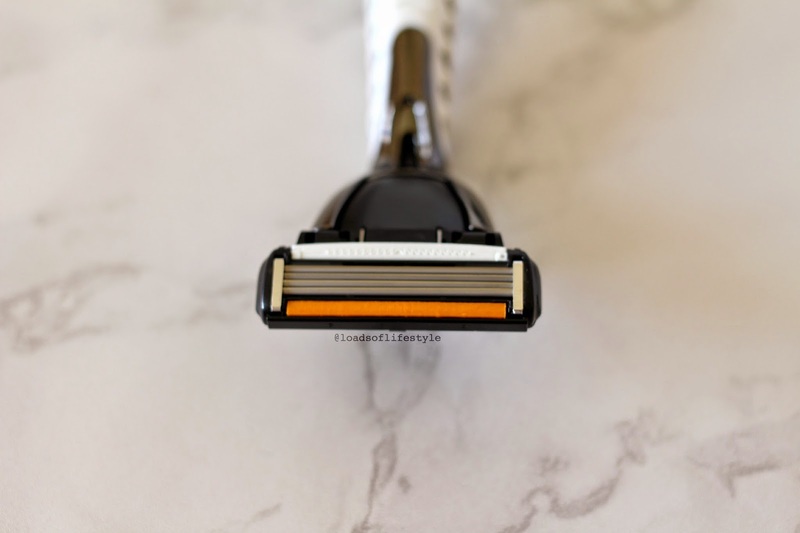 Now for me personally I have been using men's razors since I was about 16, when I had to use my boyfriend's (at the time) razor to shave my legs on a sleepover at his house, and I have never looked back! I just find they get a much closer shave, and are excellent at maneuvering around the knee area. 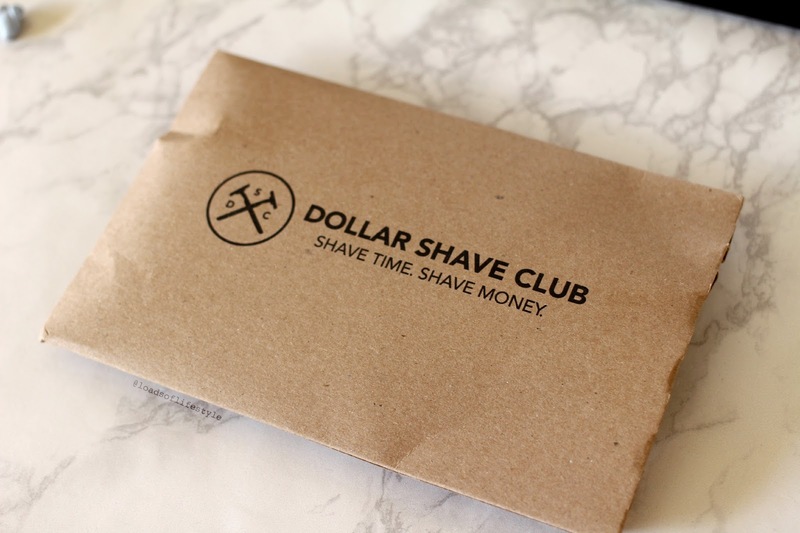 I've known about Dollar Shave Club for a little while, but never really looked into it. 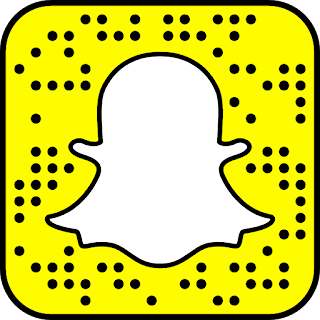 So how it works is a little bit like a subscription box - however you only ever receive razor blades.. 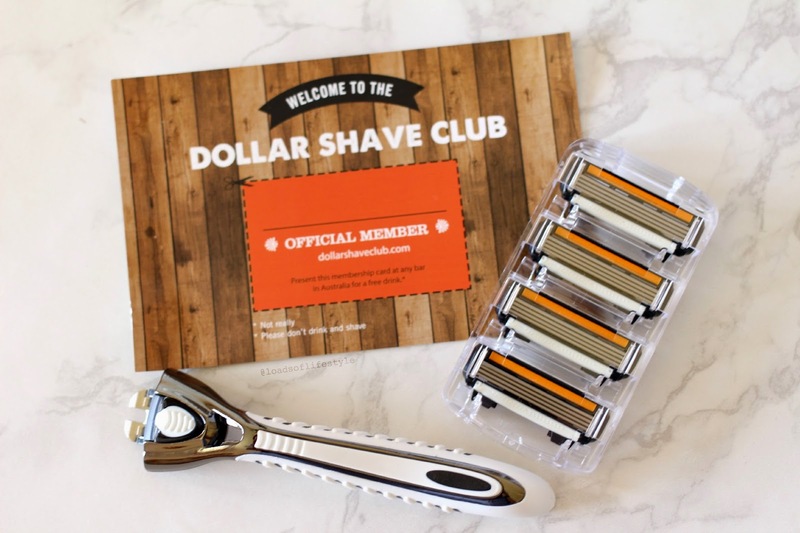 The money is direct debited from your account each month, and then they send you a fresh batch of razors! They have 3 different types of blades, at the cost of either $4, $7, or $10 per month, and on your 1st order also comes with the handle. I ordered the $7 per month (including p&h) blades which are 4 blades per cartridge, comes with 4 individual cartridges and the free handle. You can also change which blade you receive by changing your subscription and you will get the new blade the next month. If you don't feel like you would use 4 cartridges a month, you can switch your subscription to every other month, which is what I have done, so I receive a new batch of blades every 2 months! So I used the razor last night, (In a blackout mind you - do not recommend shaving your legs by candlelight! FYI) I just normally use soap to shave my legs, (but I wouldn't mind trying the new Lush D'fluff product I've seen floating around Social Media). Now my leg hairs were quite long, I'm really inconsistent with shaving them, if I can't be bothered I'll wear pants to work. I'm a terrible person! Ha! So yes they were probably about a weeks worth of growth on my legs, so the razor had quite a jungle to shave through, and it handled it splendidly! I ended up with a nice close shave! The handle and blade joint is quite flexible and made its way around my knee area easily. The aloe vera strip left a nice moisturised feel, however I still recommend moisturising once out of the shower! I'm yet to shave under my arms yet, but I'm sure the razor will be able to handle it! I highly recommend the Dollar Shave Club, if you are sick of wasting money on over priced razors from the supermarkets and don't want/need anything fancy and pink!